Looking to create your first decoupage collage? Download this FREE eBook to learn the art of layering with paint and paper to create your very own decoupage collage art! Featuring several free downloadable papers and three beautiful project ideas, Simple Decoupage Collage Art will inspire and delight—so grab a bottle or two of your favorite Mod Podge formula, and get crafting! 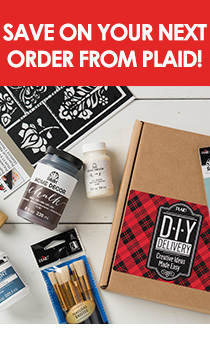 In addition to project ideas and papers, this eBook contains the history of Mod Podge, basic decoupage supplies and techniques, formula guide, as well as comprehensive instructions and step-by-step photos.